AERONAUT - a compendium of my articles on fighter flying, air wars, etc. Björn Andreasson, a Swedish aeronautical engineer working for Convair USA, designed his home-built BA-7 in 1958, incorporating the distinctive shoulder-mounted wing with a forward sweep. Returning to Sweden in 1960, Andreasson joined Malmö Flygindustri where he designed an improved version of BA-7 that went into production as the MFI-9 Junior, along with its German license-built clone, the Bölkow 208. Improvements included a larger cockpit, and a more powerful Continental O-200 flat-four, air cooled piston engine delivering 75 kW (100 HP). When Malmö Flygindustri decided to build a senior version of the Junior, Andreasson was at hand to oversee the project. The MFI-15 Safari was an all-metal aerobatic trainer and utility aircraft, with a more powerful piston engine. It featured shoulder-mounted wings having a 5° forward sweep, fixed tricycle landing gear, and side-by-side seating for two, with dual stick type controls. An additional passenger could also be housed in a spacious baggage compartment. The prototype flew in July 1969. A more powerful Avco Lycoming IO-360-A1B6, four-cylinder, air-cooled piston engine became the standard power plant for the production version from 1971 onwards. A tail-wheel version of the MFI-15 was also conceived, whereby, the regular tricycle configuration could be converted into a tail-dragger in a couple of hours, as attachment points were provided for either type of gear. 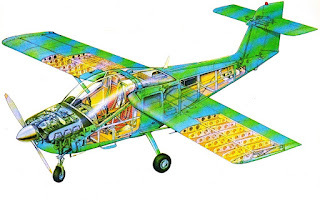 This version also had provision for quick-refit, high-lift slotted flaps instead of plain flaps, for STOL performance. During flight trials, it was discovered that when using these high-lift flaps at full down (38°) for a short landing, the downwash from the main wing caused tail plane buffet. The tail plane was, therefore, shifted up, out of the downwash. An added benefit of the T-tail configuration was that the tail plane stayed clear of debris kicked up by the prop wash during rough field operations. Contrary to expectations, however, the Army version with tail wheel and high-lift flaps was not chosen by any customer. In theory, shoulder-mounted wings – or more properly, eye-level mounted wings – allow the pilot to see above and below the wings, quite unlike the fully high or low mounted ones, which block the upper or lower views. In practice, the problem with shoulder-mounted wings is that the when the centre of gravity and centre of aerodynamic pressure are properly balanced for positive longitudinal stability, the wing spar ends up running through the cockpit in light aircraft. This would not happen in high or low mounted wings, as the wing spar would be well clear, above or below the cockpit. A solution to this problem of shoulder-mounted wings was found in the forward swept configuration, where the wing root is attached to the fuselage sufficiently aft – so that the wing spar is clear of the cockpit – yet retaining the desired longitudinal stability. The result of this shoulder-mounted configuration is unrestricted vertical visibility. For similar reasons of visibility and longitudinal balance, several gliders have a slight forward swept design. Some tweaking of the forward swept wing design was required on the MFI-15, because the wing root was attached against the fuselage in such a position that the pilot had to crane his neck forward to see along the wing leading edge (or the ‘3-9 line’). A simple solution to the problem was an angled indent at the wing root that cleared up the obstruction. To improve handling at high angles of attack, small fixed slats at the wing root were incorporated to allow high-energy air to swish through the slot to the upper surface of the wing, and smoothening out the airflow by reattaching the separated boundary layer. Higher angles of attack can thus be achieved, which help exploit the coefficient of lift (CL) to the maximum, without any adverse behaviour setting in. In effect, these fixed slats work in ways similar to leading edge root extensions (LERX) on modern fighters, which generate high-energy vortices over the wings. The vortices smoothen out the airflow over the wing surface, well past the normal stall point at which the airflow would otherwise break up, thus sustaining lift at slow speeds and during high-g manoeuvring. The MFI-15 never made big claims about speed and range, having to strike a compromise between the requirements of an aerobatics trainer and a utility aircraft. An aerobatic aircraft stressed to +6, -3 g cannot have a high aspect ratio due to demands of structural integrity. The wingspan is thus small in relation to the wing area. Such a design militates against a utility aircraft, which entails high aspect ratios for better lifting efficiency and less drag – in other words, faster speeds and longer ranges. The fixed landing gear does not help matters either, though in ab initio flying training, as well as ground operation from rough fields, the simplicity of fixed gear, its sturdiness, and ease of maintenance are quite desirable. The penalty paid in terms of drag was, thus, unavoidable but acceptable, considering the role of the aircraft. 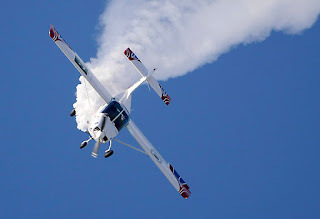 All said, the excellent handling characteristics and panoramic visibility made the MFI-15 popular amongst the civilian air enthusiasts in Europe, who bought a large number of these aircraft. The first military customer of the MFI-15 was the Republic of Sierra Leone Air Force, which purchased two aircraft in 1973 for training pilots of its fledgling air arm. The aircraft were sold off five years later, as the air force never really took-off. The Royal Norwegian Air Force purchased 18 MFI-15 in 1981, with a later order of 5 MFI-17 as attrition replacements. These continue to provide primary pilot training at the Flight Training School in Bardufoss, located well north of the Arctic Circle. In 1968, the Royal Swedish Air Force had started a search for replacement of its SAAB Safir trainer, while the Swedish Army also wanted a replacement of its Super Cubs. At that time the MFI-15 was still in the development stage. Despite the fact that non-aligned Sweden had always depended on its own industry for all military equipment, it had to choose from what was available at that time: the spruced up and renamed MFI-9B Mil-Trainer, Scottish Aviation Bulldog and SIAI-Marchetti SF-260. In the event, the decision went in favour of the Bulldog; unfortunately, the MFI-15 was just a little late on the scene. Eyeing the military potential of the aircraft, Malmö Flygindustri developed a lightly armed COIN-capable version, the MFI-17 Supporter, which first flew in July 1972. It differed from the Safari only in having strengthened wing spars for six underwing stations that could carry machine gun or rocket pods. The idea was spawned by the successful use of MFI-9 Junior by a few intrepid soldiers of fortune, in support of Biafra’s fight for secession from Nigeria. Led by the dashing Swedish Count Carl Gustaf von Rosen, a flamboyantly named squadron, the ‘Biafra Babies’, was raised with five MFI-9 armed with underwing Matra SNEB 68 mm rockets. Two Swedes and two Biafrans made up the aircrew. Starting on 22 May 1969, the squadron conducted a series of spectacular strikes on Nigerian airfields that seemed right out of a low-budget thriller. Caught by complete surprise, several Nigerian Air Force MiG-17 and three Il-28 bombers were destroyed in the raids. With the ability of light aircraft to conduct meaningful operations clearly demonstrated – albeit by mercenaries – Malmö Flygindustri set about marketing its diminutive MFI-17 as a multi-role platform for military users. Pakistan Air Force, which had been using the aging T-6G Harvard as primary trainers since its inception in 1947, decided to replace them with something more modern, and less daunting for ab initio pilots. In 1973, SAAB-Scania (Malmö Flygindustri’s parent company) offered to demonstrate the capabilities of its new product. The offer was most opportune for the PAF, as well as Pak Army which was also looking for a replacement of its aging Cessna L-19. An MFI-17 (SE-XCF) , along with SAAB technical staff, was airlifted from Sturup, Sweden, in a DC-6 cargo plane, and flown to Rawalpindi in November 1973. A series of flight trials were conducted at PAF Academy, Risalpur and the Army Aviation Base at Dhamial. The trials were rounded off with a thrilling ground attack demonstration by the company test pilot Ove Dahlén at the Nowshera Artillery Firing Range, where Bantam rockets were accurately fired at a wagon rolled on to a railway track segment. Though satisfied with the aircraft’s flight performance, the PAF and Pak Army Aviation showed no interest in the trainer’s puny ground attack capability that could have fallen foul of Swedish neutrality laws. Pakistan’s interest in another Swedish jet trainer and ground attack aircraft, the SAAB 105G, had recently come to naught as it fell in the category of ‘lethal weaponry’ whose sale was prohibited to countries that had an ongoing conflict. PAF signed the first contract for purchase of MFI-17 from SAAB-Scania in June 1974. Several successive contracts followed, each tailored for progressive transfer of technology. The first batch of 15 ‘ready-to-fly’ aircraft was to be followed by assembly of 10 semi-knocked down kits (SKD), and subsequent assembly of 82 complete knock down (CKD) kits, the whole program spread over eight years. The first of the ‘ready-to-fly’ aircraft (74-501, temporarily under civil registration SE-FIH) was actually ferried across in an epic 8-day journey from Sweden to Pakistan, involving over 40 refuelling stops. The aircraft was flown by Malmö Flygindustri’s pilot Sven-Erik Larsson, with a handy mechanic, Ingvar Larsson, by his side to fix any maintenance problems enroute. The aircraft landed in Rawalpindi on 16 August, 1974. The remaining 14 aircraft were airlifted over the next twelve months in four sorties of PAF C-130 and a chartered Transmeridian CL-44. Delivery of 10 semi-knocked down (SKD) kits started in 1976, these being assembled in a maintenance hangar at PAF Academy, Risalpur. From early 1977 to late 1983, 82 complete knocked down (CKD) kits were assembled at Risalpur, with the aircraft being renamed ‘Mushshak’ (‘Proficient’ in Urdu). When Malmö Flygindustri ceased logistics support in 1982, Pakistan signed a deal with SAAB-Scania for licensed manufacture to meet the increasing demand of what was found to be a very useful multi-purpose aircraft. Production of the aircraft started at the newly established Aircraft Manufacturing Factory (AMF) within the sprawling Pakistan Aeronautical Complex (PAC) in Kamra, northern Pakistan. Pakistan's first-ever locally manufactured aircraft (Mushshak 83-5117) rolled out in September 1983. Between 1983 and 1997, AMF built 180 Mushshak aircraft from raw materials. Besides Pakistan Air Force, as many as 174 Mushshaks were procured by Pakistan Army Aviation for air support operations, including forward air controlling, artillery spotting and field liaison duties. 25 PAC-manufactured Mushshaks were sold to the Islamic Republic of Iran Air Force in 1990. One Super Mushshak was purchased by Iran in 1997, possibly to use it as a sample for modification of previously purchased Mushshaks; however, there is no confirmation about any such upgrades. Six Mushshaks were gifted to the Syrian Arab Air Force by the then Prime Minister Benazir Bhutto. It may be recalled that Pakistan’s relations with Syria were at a high during the premiership of her father, and the country was considered a close Arab ally. The Royal Danish Air Force did not have to look far when it chose the MFI-17 as its primary trainer in 1976. Of the 32 MFI-17s (designated T-17 by RDAF) that were ordered from SAAB, 23 went to the air force, while nine went to the Danish Army Air Service for artillery spotting and liaison duties. When the latter service was disbanded in 2003, all assets were transferred to the air force. Primary flying training continues to be imparted on the T-17 at the Flying School in Air Base Karup. Zambian Air Force was the next SAAB customer, with deliveries of 20 MFI-17 aircraft starting in 1977. The ZAF used the aircraft for primary training of its pilots for over three decades. The surviving aircraft were known to be suffering from serious maintenance problems, and were eventually grounded. The PAF was not too happy about the slow rate of climb of the Mushshak in hot summer temperatures, as students were left with less time aloft to perform their air exercises. This was quite in contrast to the 1973 flight trials, which had been held in the cold November weather, something that had been smartly planned by SAAB, but somehow not seen through by the PAF. Pakistan Army Aviation, used to the STOL capability of the earlier L-19s, was also not impressed with the Mushshak’s take-off performance, especially from unprepared airfields in forward areas. Cruise speed was also a feature that required enhancement. 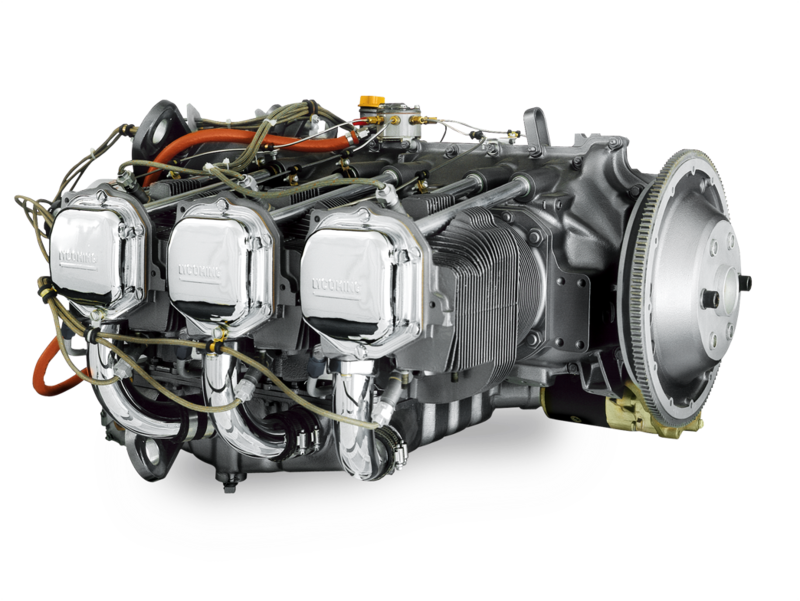 The need for performance improvements was felt as far back as 1985, when AMF, SAAB-Scania and Teledyne Continental Motors teamed up to retrofit the Mushshak with a more powerful engine. The Continental IO-360 six-cylinder turbo-charged engine, delivering 210 horsepower, was chosen for the ‘Shahbaz’ (‘Royal Falcon’ in Persian), as the modified aircraft was to be known. Work continued for the next two years, incurring an expenditure of US$ 2 million, but the results were far from satisfactory. The failure of the project was largely due to design changes in the basic aircraft that negatively affected stability and balance. With pilots still unhappy about the performance of the weak 200 horsepower engine, the power plant retrofit project was revived in 1995. A strict stipulation not to meddle with the basic design of the aircraft was laid out from the outset. The Lycoming IO-540-V4A5 six-cylinder engine delivering 260 horsepower was selected. 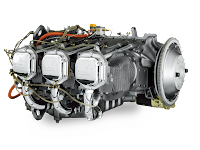 The already available maintenance facilities and compatibility of a large number of spare parts, were important considerations for choosing the Lycoming engine. Installation of the engine entailed a new engine mount that was designed and tested by AMF to verify its load limits. The slightly increased size of the new engine and minor changes in its shape also entailed a new cowling that was designed and fabricated locally. The choice of a suitable propeller for the new engine mainly centred on the issue of a two or three-blade type. Both types were tested, but the differences in performance were marginal, so AMF followed a more economical course and stayed with the Hartzell two-blade, variable pitch, constant speed propeller. Besides the engine, additional modifications to the aircraft included a powerful air conditioning system, electrical trimmers, and re-wiring for some new electrically powered instruments. The aircraft flew its first test flight with the Lycoming IO-540-V4A5 engine on 15 August 1996, a mere eight months after the start of the project. The heavier engine and air conditioning system required placement of ballast in the aft fuselage to maintain the centre of gravity. The aerobatic category, along with spin capability, was thus retained in accordance with US FAR 23.3 regulations. The aircraft showed significant performance improvement in all three desired areas viz, take-off distance, rate of climb and cruise speed. The most welcome of all modifications was the air conditioning system, as aircrew had been operating in scorching weather with summer temperatures routinely exceeding 45°C in many parts of Pakistan. With all modification parameters met, and a marked improvement in performance, it was considered befitting to rename the aircraft. While various names were under consideration, a team of journalists visiting Pakistan Aeronautical Complex learnt about the newly modified Mushshak. Next day, newspapers reported some exciting stories about Pakistan’s ‘Super Mushshak’, a name that has stuck ever since. PAF started upgrading its Mushshaks in 2001, and in the next five years, all its training fleet was modified to the Super Mushshak standard. Three Super Mushshak aircraft have also been procured by the Army for training of their instructors at PAF’s Flying Instructors’ School in Risalpur. 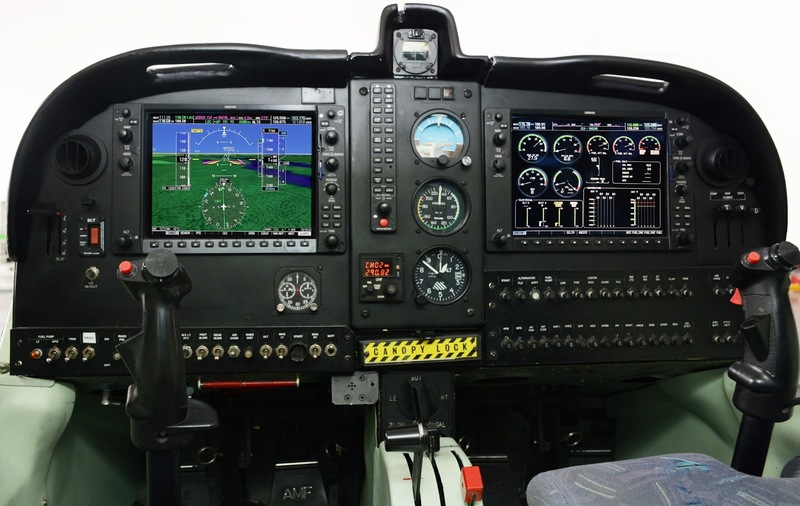 Going by the trend of overseas customers preferring a glass cockpit (Garmin 950 or Dynon Skyview suite), PAF also decided to install a Dynon suite on its Super Mushshaks. The good thing about this display is that it can be customised to show only the basic information, so that ab initio trainees are not overloaded with superfluous data. PAF Academy has found this scheme useful, and today’s video games-savvy students have been found to have no difficulty in adapting to the digital displays. In the rather restricted category of fully aerobatic piston engine trainers, with fixed tricycle landing gear, and side-by-side seating, there was hardly any competition for the Super Mushshak. Aircraft with these features are ideal as ab initio trainers, and at the turn of the century, one of the few aircraft that fitted this category was the German Grob G115. The highly successful Italian origin SIAI-Marchetti SF-260 was also a capable aircraft, but had a retractable undercarriage, and was costlier than the Super Mushshak. Being a niche product, and quite affordable, the Super Mushshak was able to capture a sizeable market in the Middle East. The Royal Air Force of Oman became the first overseas customer of the Super Mushshak with the purchase of five aircraft in 2003. Three of its Mushshaks that were on the inventory since 1993 were also upgraded to the new Super Mushshak standard. The Royal Saudi Air Force showed interest in the Super Mushshak as a replacement of its Cessna 172, which was being used for screening and elementary training at King Faisal Air Academy. After a series of aerial trials, a contract for the sale of 20 aircraft, along with after-sales support, was signed in 2004. Qatar Air Force was next to order eight Super Mushshak in 2016. Deliveries are underway at the time of this writing. These aircraft would be used for screening and elementary training at the QAF Air Academy. The Super Mushshak marked its presence in Africa with Nigerian Air Force ordering ten aircraft in 2016. Deliveries of these aircraft are expected to be completed by mid 2018. The largest order of 52 Super Mushshaks was placed by the Turkish Air Force in 2016. It is planned that all flying training in the armed forces would take place at a single facility, thus the large order. The most recent customer is the Azerbaijani Air and Air Defence Force, which signed a contract for purchase of ten Super Mushshaks in July 2017. Deliveries are likely to be complete by end 2018. Going by the spate of recent orders of Super Mushshak, it seems that AMF would be in lucrative business for many years. Studies are underway to further improve performance through some design changes; these could possibly include extended wingtips for higher aspect ratio, as well as a tapering cylindrical aft fuselage for drag reduction. The Super Mushshak surely has some life ahead, and it is quite likely that it will complete fifty years of service in the PAF, alongside its jet trainer counterpart, the T-37, which has already done so. - Details regarding number of aircraft assembled and produced, as well as those exported to other countries, provided by Aircraft Manufacturing Factory, PAC Kamra, Pakistan. - Cutaway illustration courtesy 'Swedish Hocus Pocus', by Monty B Groves in American Aircraft Modeler, Dec 1974. 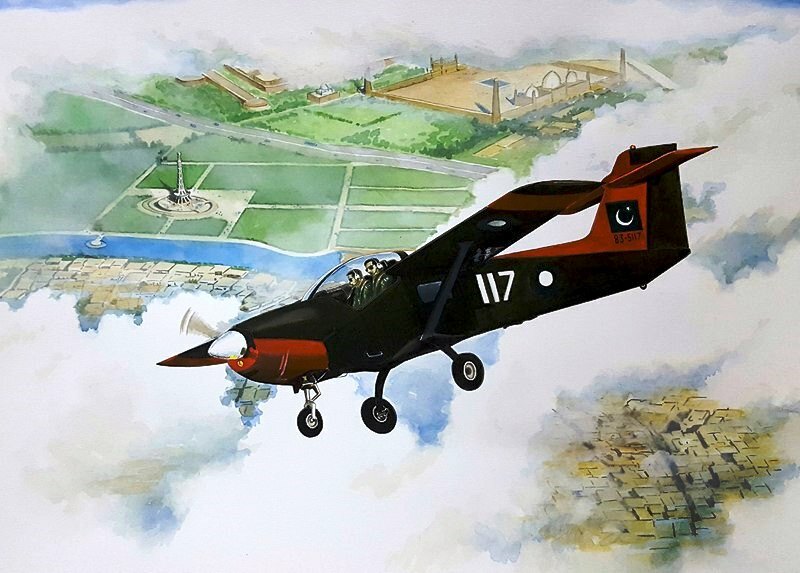 - Water colour painting of Pakistan's first locally manufactured Mushshak 83-5117 by renown aviation artist Rehan Siraj. This article was published in 'Defence Journal', Sept 2018 issue. An excellent narration about the history and induction of Mashak aircraft. © KAISER TUFAIL. Simple theme. Powered by Blogger.